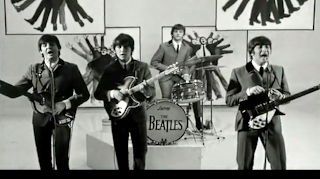 JANGLY, CHIMEY, TWANGY—When our ancestors first heard the Beatles they fell in love with the entire package: the hair, the lyrics, and the fresh sound. 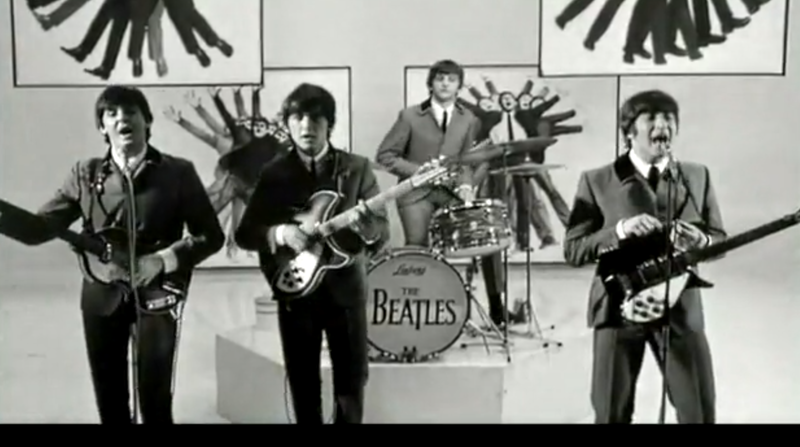 But what exactly was that signature sound coming from the Beatles in the early ‘60s? 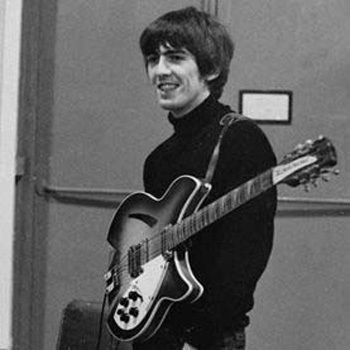 If you go back nearly 50 years and listen to early Beatles hits like “Ticket to Ride,” “Hard Days Night,” and the opening to “Day Tripper” and its mid-song riffs by George Harrison, you quickly picked up (then) a never before heard sound from a guitar. That sound came from the newly invented Rickenbacker 12-string electric 360/12 model guitar played by George Harrison beginning in 1964. Who knew that that twangy, jangly guitar sound would launch a wave of limey chimey rock (until Sgt. Pepper ended it)? Rickenbacker, an American electronic guitar maker since the 1930s, developed the 360/12 to answer the popularity of the acoustic 12-string guitar (pre-electric Dylan). Rickenbacker owner Francis Hall finished work on the first 360/12 at the end of 1963. That jangly sound was born. Other groups quickly jumped on the Rickenbacker 12-string sound. Remember, the The Byrds in “Mr. Tamborine Man?” Many of the great Beach Boys hits incorporated the pure Rickenbacker 360/12 sound.